Benny Wilding is one of the talents of the Montreal scene, on the path of the greatest. 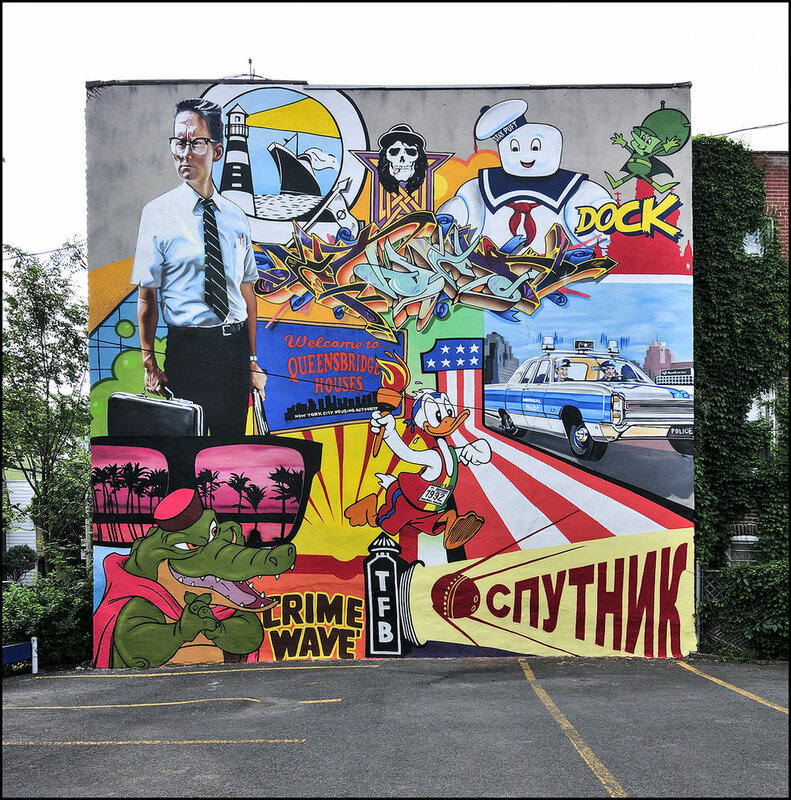 After having made graffiti for fifteen years, the artist embarked on the production of large murals such as the one recently made for the 2015 mural festival on Mont Royal Avenue. 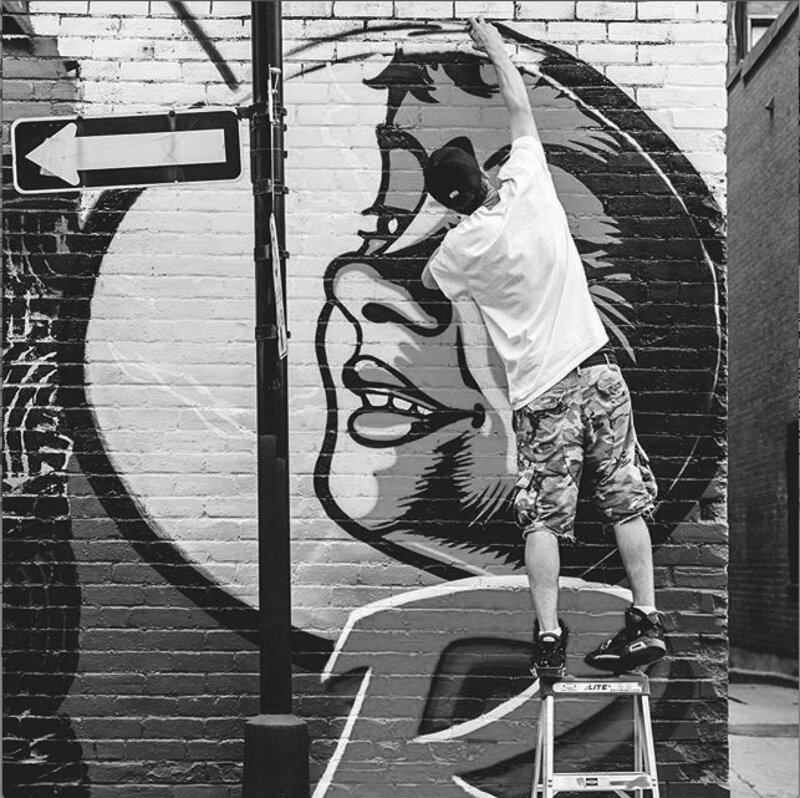 Encounter with a singular artist, mixing graffiti, American pop-art, vintage images and stylized lettering. Benny Wilding discovers the love for the arts for the first time in New York, at the age of 12, in the mid-1990s. Strongly impressed by all the spray painted walls of The City That Never Sleeps, he returns to Montreal with the Desire to showcase himself in this new culture of graffiti. Pursuing his passion in his city and surroundings, he is now increasingly interested in the aesthetic approach in Artistic street art. Since the first day he used aerosol painting, his work is fueled by his artistic evolution, his environment and his way of life.